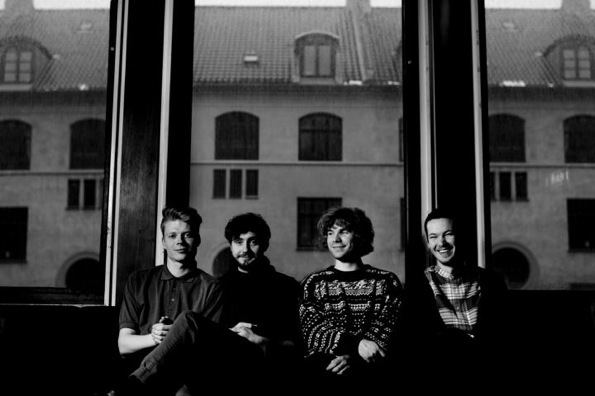 The Danes that make up the indie pop-rock outfit Treefight For Sunlight are gearing up for their last show of a tour-heavy 2011. Before they settle down for a long winter’s nap, The Owl Mag’s Jennifer Shields was able to squeeze in a few burning questions to hold us over until they’re back. Are they working on new material? What do they do when they’re not doing something with music? What’s the one thing they need YOU to know about them? Read on to find out. The Owl Mag: You’ve been on tour most of 2011, what songs get the best audience reaction? Treefight For Sunlight: It varies a lot. Depends on the audience, but in general, I would say “The Universe Is A Woman,” “You And The New World,” “They Never Did Know,” and “Facing The Sun.” And of course, the times we played “Wuthering Heights,” it surprised people with something they already knew. That’s always nice when you’re listening to a band for the first time. The Owl Mag: You’ve been friends for a very long time. Does this make touring together easier or harder? Why? Treefight For Sunlight: It definitely makes it easier because we know what to expect from one another and we hang out pretty much as if we were at home. The Owl Mag: What is the song writing process? Treefight For Sunlight: It’s always different. Sometimes we put things together out of bits and pieces we have, and sometimes someone writes a whole song. A Collection Of Vibrations For Your Skull has pretty much been put together from a lot of bits and pieces. The majority of the bits and pieces were written by Morten. The Owl Mag: In a perfect world, what bands would you like to perform with at a festival? Treefight For Sunlight: Radiohead, Animal Collective, Broadcast, AIR, Outkast. The Owl Mag: When you’re not making or playing music, what are you doing? Treefight For Sunlight: We play Tekken 3 and watch Spirited Away. The Owl Mag: What was the last show you went to other than your own? Treefight For Sunlight: It was Oh No Ono – they played their last show last Friday. It was wonderful and sad. The Owl Mag: Do you have any musical guilty pleasures? Treefight For Sunlight: No, not really. When something works musically, comically we just like it without feeling guilty. The Owl Mag: What’s one word that describes Treefight For Sunlight? The Owl Mag: What would you like your fans to know about you as a band? Treefight For Sunlight: We would like them to know that we have extremely lengthy penises. Treefight For Sunlight “Facing The Sun” from Friendly Fire Recordings on Vimeo.